English High School students had considered a walkout to protest the release of history teacher E. Chris Summerhill. E. Chris Summerhill, a history teacher at English High School, was among the thousands who took to Boston’s streets in December to protest a New York grand jury’s failure to indict a white police officer in the choking death of an unarmed black man. Summerhill was arrested and later shared his experience with his ninth-grade students as a “teachable moment” about civic action. But just before school vacation in February, Summerhill says, administrators told him that parents of two students had complained that he discussed the protests and showed a video of his arrest in class, and that he would have to leave the school at the end of the year. “I was blindsided,” Summerhill said recently. “It was a one-day supplement to what we were already learning” in class. Summerhill, 31, was allowed to apply for other jobs in the district, and will teach next year at the Tobin School in Mission Hill. But his ouster from English High after five years has angered students and parents alike, and a petition protesting his treatment has received some 400 signatures. Teachers who are declared “excess” cannot return to the school but can apply for jobs elsewhere in the district. Snyder said Summerhill was told his work history was the reason for his removal. Summerhill said that is not the case. “My teaching record here had never been in question until these complaints,” he said. “I think it’s unfair and capricious,” Stutman said. Because of its longstanding academic struggles, English High has been designated a “turnaround” school, which gives the principal broad powers to make personnel changes, Stutman said. While angry over his removal, Summerhill said he decided not to formally contest it through the union, and discouraged his students from staging a walkout in protest. But Summerhill said he believes his removal sends a terrible message to students, that “exercising your democratic rights” could cost someone a job. He said discussing the protest was a chance for students to see civics in action. “We can study it in history all day, but seeing how it plays out in real time with issues that they see and hear about each day is one of the best ways to learn about how our democracy works,” he said. Summerhill was “engaging in the exact same type of activism” they learn about in history classes, Gichuru added. Summerhill said he and his wife were arrested during the protest near a highway ramp in the South Station area. A friend recorded their arrest. They were initially charged with disorderly conduct and trespassing and decided to fight the accusations, according to the American Civil Liberties Union of Massachusetts, which represented the couple. In February, a short time after Summerhill was told he could not return to English High, a Boston judge found the couple were not responsible for the charges. Summerhill said he immediately notified the headmaster at English about his arrest and she took no action. After he discussed the protest and showed students a video of his arrest, he said, parents of two students complained to administrators. “There was the perception that I talked about it in a way that glorified it,” he said of his arrest. 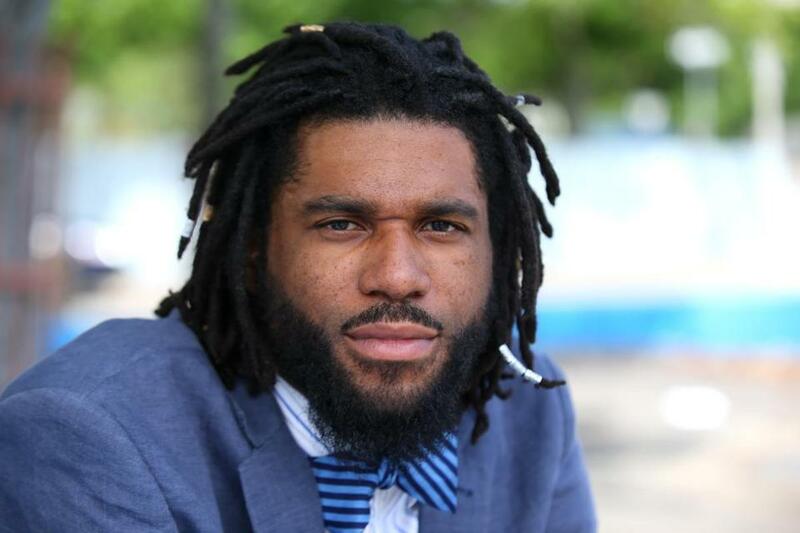 Summerhill, who graduated from Dorchester High School and plans to spend his career in Boston, said he is excited to have landed the job at Tobin. “I’m an eternal optimist,” he said.